Global Forensic Services, LLC is a forensic laboratory, as well as a consulting and private investigative team offering more than 35 years of experience and training in a wide range of forensic disciplines and investigative strategies. Experts in ink dating, questioned documents, handwriting, corporate security, crime scene reconstruction, document examination, ink analysis, age determination, printing processes and age, private investigation, Daubert, fingerprints, computer forensics, forensic procedure review, fraud, forgery, document authentication, piracy, counterfeiting, cold case analysis and court preparation. Global Forensic Services can provide objective examination of evidence in active cases or on previously performed work to determine if proper procedures were followed and accurate results were given. Courtroom assistance can be provided to include expert testimony and trial preparation. Global Forensic Services provides objective examination of evidence in active cases or on previously performed work to determine if proper procedures were followed and accurate results were given. Courtroom assistance can be provided to include expert testimony and trial preparation. Art Dating, Printing Age, Ink Age. Global Forensic Services, LLC is owned and operated by Larry Stewart. Additional consultants are brought in as needed to provide the best overall service available. It is believed that this consultant service provides the best forensic services available to assist you in solving the mystery at hand. Larry Stewart has more than 35 years of experience conducting forensic examinations for state and federal agencies as a forensic scientist for the Bureau of Alcohol, Tobacco and Firearms and the United States Secret Service. He is now in private practice and is offering his experience and knowledge to you. He has earned an Associate of Arts degree from Florida Technological University in Orlando, a Bachelor of Science in Forensic Science from the University of Central Florida, also in Orlando and a Master of Forensic Sciences degree from Antioch University in Yellow Springs, Ohio. Mr. Stewart has worked for the U.S. Government as a forensic scientist for 25 years. During that time he has worked on many notable cases to include; the Unabomber, numerous accused Nazi war criminals, e.g. John Demanjuk, a.k.a. Ivan the Terrible, the reinvestigation of the Dr. Martin Luther King murder, the reinvestigation of the Kennedy assassination/CIA conspiracy theory, the Jon Benet Ramsey murder investigation, and more recently, the 9/11 terrorist attack, and the DC Sniper case. He has testified as an expert witness in state, federal and military courts of law, as well as in foreign court systems to include; Austria, Australia, Canada, Germany, Sri Lanka and Thailand. He has also testified at The Hague in the Netherlands and three times before the U.S. Congress. Mr. Stewart most recently held the position of Laboratory Director and Chief Forensic Scientist for the United States Secret Service. In 2005, he retired from government service and began his own forensic laboratory and consultancy company. Larry Stewart has more than 35 years of experience conducting forensic examinations for state and federal agencies as a forensic scientist for the Bureau of Alcohol, Tobacco and Firearms and the United States Secret Service. During that time he has worked on many notable cases to include; the Unabomber, numerous accused Nazi war criminals, e.g. John Demjanjuk, a.k.a. Ivan the Terrible, the reinvestigation of the Dr. Martin Luther King murder, the reinvestigation of the Kennedy assassination/CIA conspiracy theory, the Jon Benet Ramsey murder investigation, and more recently, the 9/11 terrorist attack, the DC Sniper case and the 2010 Brazilian Presidential election scandal. Mr. Stewart most recently held the position of Laboratory Director and Chief Forensic Scientist for the United States Secret Service. After retirement from the federal government, he began a consulting and investigative firm, specializing in forensic analysis, private investigation, and counterintelligence. Mr. Stewart has testified as an expert witness in state, federal and military courts of law, as well as in foreign court systems to include: Austria, Australia, Canada, Germany, Sri Lanka and Thailand. He has also testified as an Expert at The Hague in the Netherlands and three times before the U.S. Congress. 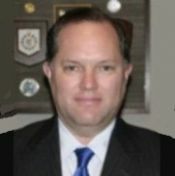 Mr. Stewart has instructed for the Bureau of Alcohol, Tobacco and Firearms, US Air Force- OSI, US Secret Service, Federal Law Enforcement Training Center, Drug Enforcement Agency, Federal Bureau of Investigation, International Law Enforcement Academy- Budapest, Hungary, Naval Criminal Investigative Service, Rochester Institute of Technology, US State Department, Cuesta College, and California Polytechnic University. Over 25 original publications and presentations of original research. Two published books on Forensic Science. Please see website for descriptions. Forensic handwriting examiners or questioned document examiners are typically sought by investigators or private citizens when a question arises regarding the authenticity of a particular writing. They can also be sought out by attorneys preparing cases for settlement or trials. How should you address the level of competence of a forensic handwriting examiner before asking for their assistance? Once a request is made for an examiner to begin analysis, it is too late to rethink the submission.